Fig. 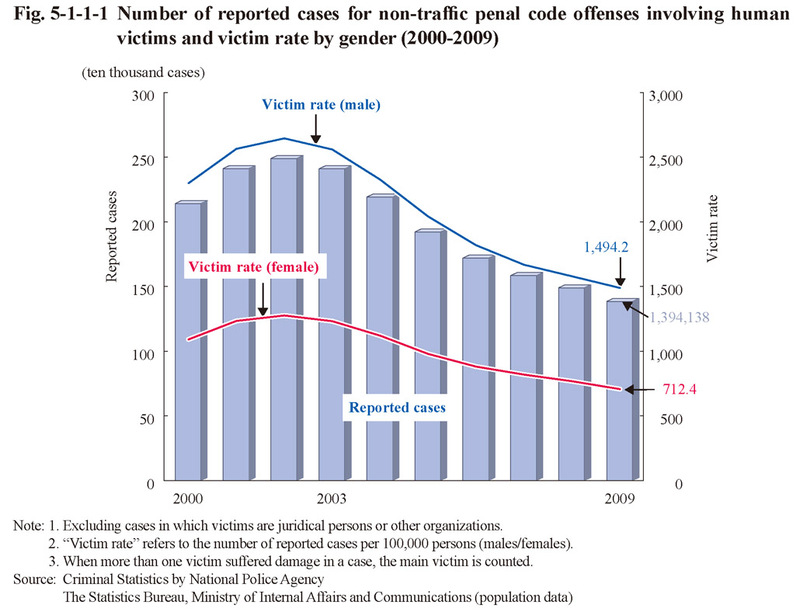 5-1-1-1 shows the number of reported cases for non-traffic penal code offenses involving human victims and the victim rate (the number of reported cases involving human victims per 100,000 persons; hereinafter the same in this section) over the last 10 years. 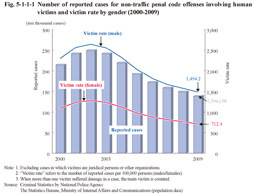 The number of reported cases and the victim rate have both continued to decrease/decline since 2003. The victim rate of males was approximately two or more times that of females. Fig. 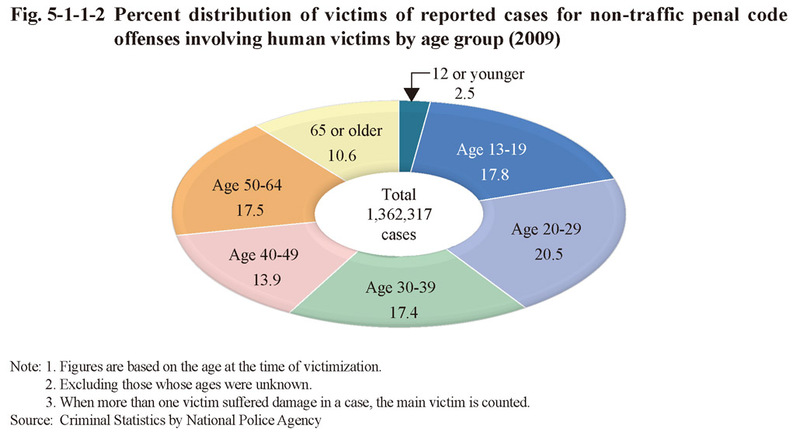 5-1-1-2 shows the percent distribution of victims of reported cases for non-traffic penal code offenses involving human victims by age group in 2009. The proportion of 65 or older increased from 8.7% in 2000 to 10.6% in 2009 (Source: Criminal Statistics by National Police Agency).